Whether you’re a burger joint, pizza shop or corner bar, chances are great that your customers include a lot of craft beer lovers. Once an underground trend, craft beer has entered the mainstream and is especially adored by millennials. 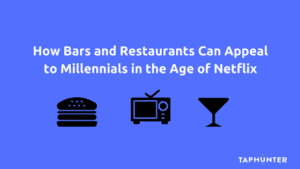 Finding ways to capitalize on this trend can be a great way for bars and restaurants of all stripes to attract a crowd and build customer loyalty. Enter craft beer-focused events! 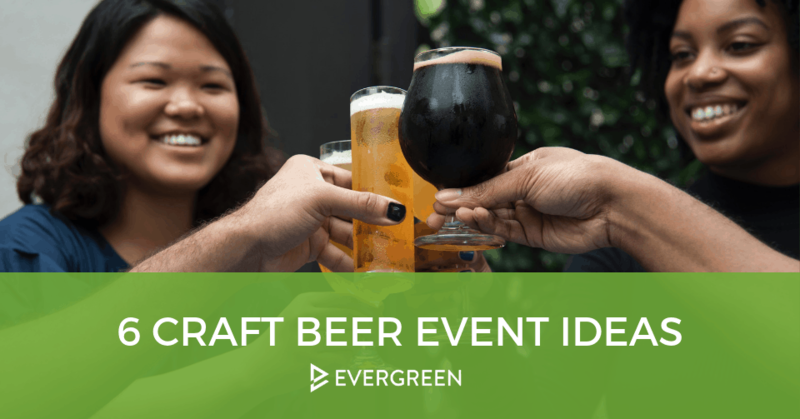 Why Hold a Craft Beer-themed Event? There are a number of great reasons to hold a craft beer-focused event. For starters, holding an event is a great way to turn a slow evening (or lunch hour) into a revenue-generator. Spend a few hours and/or dollars promoting the event and you could enjoy strong returns. 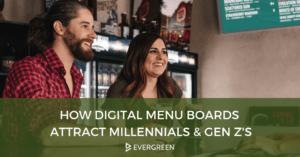 Another reason to hold an event focused on a specific crowd–in this case, craft-beer drinkers who almost certainly skew younger–is that it’s a great way to attract new customers. Events encourage people to invite friends and engage their networks, which can bring new people into your business. If you turn even three of those new people into loyal customers, that can add up to hundreds of dollars in revenue per year. And for your existing customers, it’s just another opportunity to build loyalty and keep them coming back. 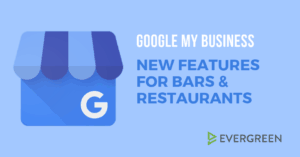 Tap takeovers are one of the highest-ROI ideas on this list, because they include a partner. And when you have a partner, you have twice the resources and twice the audience to make your event a success. Tap takeovers are also a fantastic way to build a relationship with the partnering distributor and/or brewery. Talk with a local distributor to get the ball rolling. Once you’ve picked a partner, be sure you plan ahead for space requirements and that you’re able to display all the beers together. Consider a “keep the glass” promotion for added revenue. You and the brewery could pool resources for co-branded glasses that will remind patrons of your bar every time they open their kitchen cabinet. This is another great event idea driven by a partnership. The details of a meet-the-brewer event are largely dictated by the type of brewery you’re partnering with–either well-established or brand new. For established breweries, a meet-and-greet format or even a short talk (TED talk for beer?) can be a great way to showcase their offerings. Veteran brewers are often quite happy to talk about their success and how they got started. A key advantage of collaborating with more well-known breweries is that they come with an existing “beer geek” fan base that you can convert into new customers. Co-hosting an event with a brand-new brewery is quite different. Most new breweries are looking to get their brand out there. Costly urban rents force many new breweries to set up shop away from urban centers, meaning they may jump at the chance to get their beer in bars closer to city centers. Similarly, if your business is more centrally located, your customers may love the chance to try a new brewery without making a drive. These types of events are all about tasting the new beer and evaluating likes and dislikes. Consider engaging the crowd with taster promos. You could even add a poll to your Facebook page and invite guests to share their favorite beer! Once you’ve picked a brewery to partner with, discuss different event options (short talk, rare tastes, etc.) and find out what the brewer is comfortable with. Will they bring swag? Who will represent the brewery? We also recommend asking for something special when it comes to the actual beer selections. A rare beer induces FOMO and makes it more likely that fans will show up. Many breweries will bring swag, which is also sure to be a hit with your customers! Beer pairings are quite popular–and for good reason. Who doesn’t love to eat while they drink?! Customers love a good beer pairing because it’s a special spin on date night or going out with friends. As a bar owner, you will love partnering with a local caterer or food truck to bring in an additional crowd. To get started, reach out to local businesses serving something special (donut, cupcake, ice cream, cookies, chocolate, etc.). Compare your food and drink lists and brainstorm pairing options. From there, you both just need to promote to your networks and sell tickets. Be sure you have Insta-worthy photos for pre-promotion, as this is critical for food. If you’ve made it this far, you’ve likely noticed a few mentions of “rare beers.” And that’s for good reason! Tapping something unique creates urgency and makes it more likely that people will show up to your event. Think about it–would you be more likely to attend a regular Monday night happy hour or a once-in-a-lifetime release? This is particularly important if you’re trying to attract a crowd of hard-core craft enthusiasts. These “beer geeks” always want to try something new for the bragging rights and sheer love of the craft. So, how do you find a rare or brand-new beer to showcase? Ask distributors what new beers are coming out and when. Maybe a new brewery is opening up in your city, or perhaps an established brewery is about to start distributing in your state. That’s your moment to pounce before someone else does! There are a number of groups you can tap into (pardon the pun) to get some fresh faces into your business. Options include homebrewing clubs, brewers guilds (they often have regular meetings), Pink Boots Society chapters or beer clubs. You could also consider partnering with local beer bus or bar crawl purveyors. Turn these “groupies” into loyal customers so they come back with friends! Find beer geek groups on social media, blogs or websites and extend the offer directly to the host or owner. You could also ask your staff and/or regulars if they belong to any groups. Be sure to offer the group something enticing like a free pitcher or appetizer to encourage them to pick your location. Section off an area to make the group feel welcome and consider staffing an extra server to act as a personal runner. Going the extra mile will do a lot to build the relationship with both the group and its individual members. This last idea is quite a bit more involved than the others. We won’t go into the full details of planning, preparing for and hosting a successful beer festival here, but if you’re interested in taking your craft beer event to the next level, read this guide. 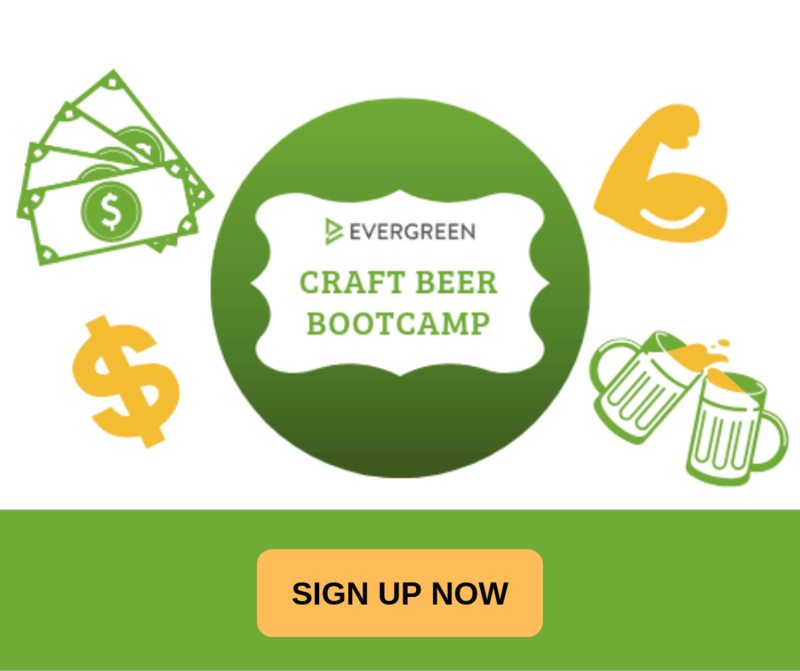 Holding a craft beer event is a great way to attract new people to your bar or restaurant. But you need to have a plan in place to keep these new folks coming back for more. Best practices include asking visitors to follow you on social media (why not offer a 15% discount if people Like you on Facebook?) or on TapHunter. As the owner, you should also make an effort to mingle with the crowd and build a personal connection, which is key to building loyalty. Finally, find a way to gather feedback on the event and what types of events people would like to attend in the future. If you have attendee emails, send a poll. Then it’s time to do it all over again!